Authorities say Wiz Khalifa has been arrested in West Texas for marijuana possession. The rapper from Cannonsburg, Penn., was stopped at an inspection checkpoint at the El Paso airport. 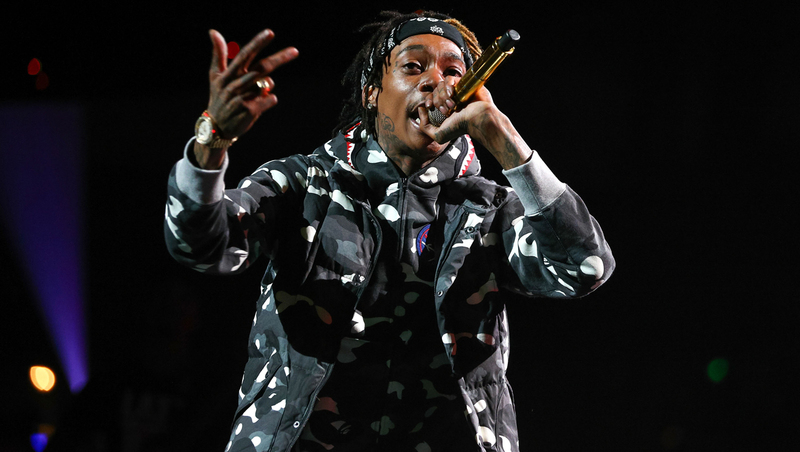 A statement from El Paso police says because Khalifa traveled without identification, a search was ordered and Transportation Security Administration agents found a canister with marijuana. TSA alerted police, who then arrested Khalifa. He was charged with misdemeanor possession of marijuana and was released after posting $300 bail. Court records do not list an attorney. A message left at Khalifa's agency was not immediately returned. Khalifa posted a photo on Twitter inside of what appeared to be a holding cell. It's captioned, "Jail selfie." Khalifa was born Cameron Thomaz in Minot, N.D. He was a headliner at an El Paso music festival Saturday. He is married to model Amber Rose. They have one son, Sebastian Taylor Tomaz, who was born in February 2013.